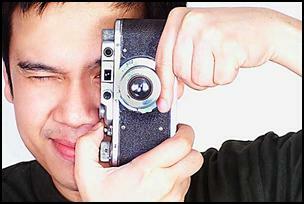 When using old cameras, always think „FAST“: Focus, Aperture, Shutter, Take! 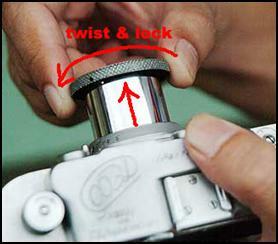 Pull out collapsible lens, and twist it clockwise until it clicks to lock it on „shooting position“. Wind the shutter by turning the winding knob clockwise until it stops. 2. 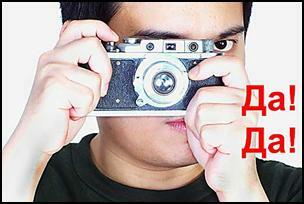 SET APERTURE & SHUTTER SPEED. 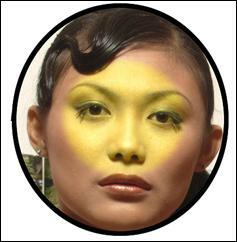 Set the lens aperture by turning the lens’ diaphragm setting ring to the desired value. 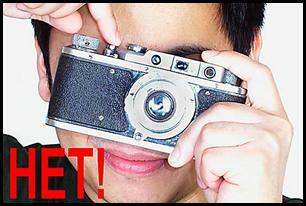 Set the shutter speed by lifting the shutter dial and setting it to the desired value. The camera has no built-in meter. 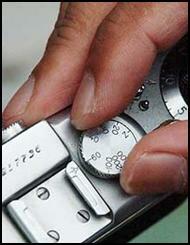 The correct shutter and aperture values can be determnined by using an exposure meter or an exposure table. 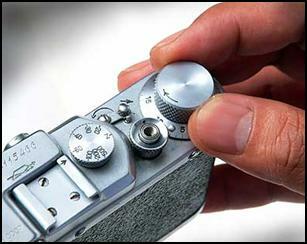 CHANGE SHUTTER SPEEDS ONLY AFTER WINDING THE SHUTTER TO AVOID DAMAGING THE SHUTTER MECHANISM! Lens not in focus. Lens in focus. 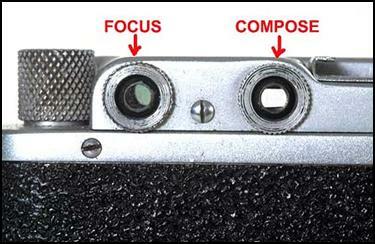 Correct methods of holding the camera for horizontal and vertical shooting orientations. Focusing can be done by pressing on and turning the lens tab with the left index finger. 1. All cameras with rotating shutter speed dials attached to focal plane shutters should have their shutter speeds changed ONLY AFTER WINDING THE SHUTTER. It is impossible to set the shutter accurately to any value prior to shutter winding. FED and Zorki shutters will be damaged if their speeds are changed with the shutter unwound. 2. 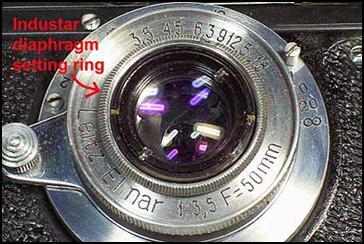 The lens should not be removed unless necessary to minimise the risk of damaging or upsetting the rangefinder sensor tip. 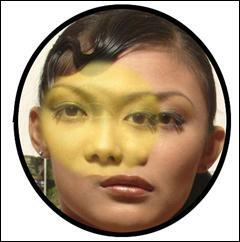 And when dismounting the lens, make sure that IT IS SET TO MINIMUM FOCUS BEFORE TURNING IT TO REMOVE IT. It MUST ALSO BE SET TO MINIMUM FOCUS DURING MOUNTING. 3. There is only one way to load film into the camera. That procedure is described in the film loading pages of this site. Other methods can and will lead to damage to the camera. One such method often suggested is to insert thin cards into the film channel, over the film pressure plate, to coax the film in whilst holding the shutter open at B. 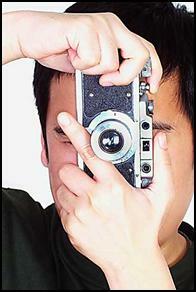 This method is at best clumsy, cumbersome, and slow; and at worst, harmful to the camera works. Film for the FED or Zorki has to be cut in a certain manner, and this is essential to proper film loading.